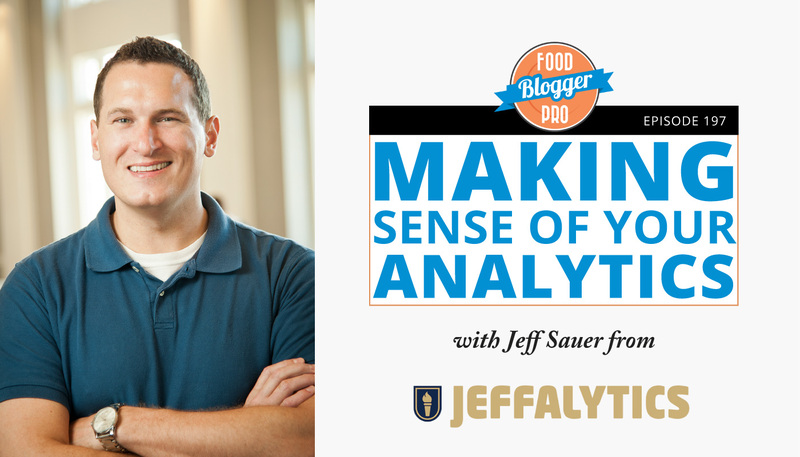 Welcome to episode 193 of The Food Blogger Pro Podcast! This week on the podcast, Bjork interviews Nora Schlesinger from A Clean Bake about how she prioritizes her work and runs her blog. Last week on the podcast, Bjork chatted with Jen and Rob Morris from Cupcakeology about starting and growing their bakery. To go back and listen to that episode, click here. Nora had a few other blogs before landing on her current blog, A Clean Bake. Throughout her time running these blogs, she’s learned a lot. Most importantly, how to work less and still be able to accomplish everything she wants to. This interview focuses around the ideas of prioritizing your work and working smarter. It’s a fantastic interview, and you’ll love learning about her favorite tools, the course she took to understand SEO, and how she makes her older posts work for her. Thanks to our Reviewer of the Week, WisteriaJ7! If you’d like to be featured, leave a review for us on iTunes and include your name and blog name in the review. Alexa Peduzzi: In this episode, I talk about a plugin and tool that helps me keep on top of social media, and then Bjork interviews Nora from A Clean Bake about how she prioritizes her work and runs her blog. Alexa Peduzzi: Hey, hey, hey lovely listener, you are listening to the Food Blogger Pro podcast. We hope you’re having an amazing day. This episode is sponsored by our friends at WP Tasty, a food bloggers go-to resource for plugins to help run their blogs and businesses. You can learn more by heading to the wptasty.com. And for today’s Tasty Tip, I’d like to chat about the tool and plugin that has helped me stay on top of social media for my blog, and that is CoSchedule. Alexa Peduzzi: I’ll be the first to admit it, social media is so not my favorite thing. I spend too much time on it, but I have a hard time posting consistently on each platform, and that’s exactly why I love CoSchedule. I can see my entire social calendar in one place and most importantly, I can actually schedule social posts for my new recipes right from the post editor on WordPress with the CoSchedule WordPress plugin. It’s so convenient to be able to do everything related to the recipe, upload images, write the post, write the recipe, and schedule social post straight from the post editor on WordPress. It helps me work smarter and it’s one of the best tools I invested in for my blog. So if you’re a Food Blogger Pro member, we actually have a deal for CoSchedule at foodbloggerprocom/deals. And if you’re not a member, I still encourage you to check it out. This saved me so much time, a common theme of this episode as you’ll hear in a little bit and it helps me be more consistent with my social media strategy. Alexa Peduzzi: And now, the interview. Nora had a few other blogs before landing on her current blog. A Clean Bake. Throughout her time running these blogs, she’s learned a lot, most importantly, how to work less and still be able to accomplish everything she wants to. It seems a little counterintuitive, but you too can work less by prioritizing your work and working smarter. This is a fantastic interview and you’ll love learning about her favorite tools, the course she took to understand SEO, and how she makes her older posts work for her. So without any further ado, Bjork take it away. Bjork Ostrom: Nora, welcome to the podcast. Nora Schlesinger: Thank Bjork. I’m really excited to be here. Bjork Ostrom: Yeah. We’re going to talk about some really on the ground, tactical type stuff, which I think people really love when it comes to a podcast. But before we do that, one of the things I always love to do is rewind the tape a little bit and hear what it was like for people when they’re first starting their blogs. So can you take us back, rewind the tape a little bit and take us back to the early stages, the first days of when you’re first getting up and running with starting your site. Nora Schlesinger: Yeah. Well, actually so this is technically my third food blog. I had one that was super bare bones like on you know blogger in 2007 or so. Nora Schlesinger: No photos. Let’s just say it was vintage. Nora Schlesinger: “What do people do with it?” So I started a food blog, a dessert food blog because I had been baking for all of my friends and study groups in grad school and people really enjoyed my food and said they wanted to make it, but I think they really just wanted me to bake more for them. Nora Schlesinger: But regardless, you know I’ve always enjoyed photography and stuff. So I created a conventional baking blog, I don’t know like six months before graduation, meanwhile, I had been having all of these digestive issues that I just thought were like stress-related because as you can imagine I wasn’t sleeping much, I wasn’t really treating my body very well because I was working and traveling and going to school and life was crazy. So after about a year of that food blog and I had graduated and my digestive symptoms were not getting better, they were getting worse, I decided … I had gone to a couple of doctors and long story short, I had to make some really major dietary changes, so I decided to launch this second food blog, which is A Clean Bake. The old one was called Buttercream Fanatic, it was butter, sugar, flour, all of it and it’s no longer a live site. Bjork Ostrom: It’s kind of like before and after almost, right? Bjork Ostrom: Like it’s these two very different versions of yourself. The same thing, food blog, but very different take. Nora Schlesinger: And in fact, the name A Clean Bake is because it’s a pun on “a clean break” because I felt like in order to really give myself the chance to get better and heal and find my way back to health, I really had to completely leave my old diet and lifestyle behind and fully embrace this elimination diet. I mean on paper, it was pretty brutal so I was like, “All right. How am I going to stick to this? I can’t have temptation around. I can’t have like doughnuts around all the time.” So I started this website that would encourage me to kind of get creative and create sweets that I could eat because I have a pretty big sweet tooth, and keep me honest. And to be completely honest, I really thought I would go back to Buttercream Fanatic in three months. And that was five years ago. So Buttercream Fanatic is dead and gone, A Clean Bake is thriving. And honestly, I really … I say honestly a lot, don’t I? Bjork Ostrom: It’s all true. Nora Schlesinger: Yeah. It really is. When I look back I think, oh my gosh, this really was such a long journey to get to the point where I finally feel like I kind of know my purpose and I know why I started this food blog. Redacted number of years ago, when you know first out of college and I started that very basic OG blog. It was just for fun back then and it was just for fun when I started Buttercream Fanatic, but finally I see like this is all kind of this journey to getting to a place where I could help myself heal, but more importantly, I really found a way to support other people in living the best version of their lives through healthy food and treating their body well and being able to enjoy their life and enjoy food and social gatherings that revolve around food, without making themselves sick. Bjork Ostrom: It’s interesting. I think it’s one of the things that we maybe don’t talk about enough on the podcast is the impact. It’s the type of metric that we don’t necessarily track, but that exist, and that is the lives impacted through the thing that you are creating. And in this case for you, it’s creating these meals that people can feel really good about eating because they’re healthy, they’re not going to make them sick, and also they taste good, right? So it’s like this benefit of all these different things. And a lot of times, I think partly because it’s what we’re most interested in as creators who are also maybe interested in some of the business side of it, we can get caught up in those other metrics, but that’s such an important metric is the people that you’re impacting is not just traffic for the sake of traffic, it’s traffic for the sake of impact in the number of people that you were interacting with and that are consuming your content. I think that’s great and a really important thing to remember. Bjork Ostrom: So was there a point where you had you know with your site said, “Hey, you know what? This is not the blogger site of 2007 where I’m not going to talk to anybody about it. I actually want to take this a little bit more seriously, put some time and energy into it, and be really intentional with thinking about how I’m growing this. Not only as a way to impact people, but also as a way to potentially impact my own life, to create a thing that is valuable for me, and potentially a business as well”? Nora Schlesinger: Yeah. I think as almost embarrassing as it is to admit, the first time I really sat down and seriously thought through that process was last year. Up until that point, I sort of was looking around and I knew sort of instinctually what things you do. You know, I have a degree in marketing, I had been working in marketing, I actually have a degree in business. And so some of those things just sort of naturally extended to A Clean Bake and how I was running it, but I never really thought of it as a business. I always thought of it as a hobby. Nora Schlesinger: The funny thing is I tried to take it full time in 2017. So this was right after my son was born. I left my full-time job that I had at the time because it was too demanding for me to be the kind of mom that I wanted to be and work in that industry, in that role. So I thought, “Well, I have this kind of backup plan luckily.” I’m making some money, I had monetize my site primarily through advertising, but I also had some freelance work that I had sort of stumbled into and it was steady, ongoing work, and then I had some sponsored posts and I was in those networks that send you opportunities and stuff. So It was sort of sporadic, but on some irregular basis, I was doing sponsored posts so I was like, “Hey, I’m make money. I can probably grow this.” And the funny thing is when I took it full time, it was a little bit impulsive and I thought like, “I have a degree in business. I should be able to do this in my sleep.” And it was a disaster because I never sat down and thought, what am I doing? Why am I doing it? Who am I doing it for? And how do I layout that path for myself and make sure I stay on that path? Bjork Ostrom: But you said it was a disaster, and I’m so interested to hear at what point did you realize that? And how did that manifest itself in terms of the day-to-day? Because I think it’s a question mark that people have that are on the fence or maybe that are in the middle of it, transitioning into doing their thing full-time, whether it’s their blog or business or whatever it might be. What were the the signs that you realized going into it that, “Hey, this isn’t exactly what I thought it would be.” And that therefore causing you to step back and look at it a little bit more strategically. Nora Schlesinger: Sure. I think the biggest red flag for me was I was having a terrible time focusing and sort of staying on track. In retrospect, I realize that was because I didn’t have a track, but I was … First of all, I was trying to do absolutely everything and everything myself. So I was looking around at full-time bloggers and basically my strategy was, I know all these people are full-time bloggers, what are they doing, I’m going to try and copy it. Which is oh my goodness, the worst possible strategy someone could have. So anyone listening, please don’t follow my lead on that. Nora Schlesinger: So I was trying to create new content, I was trying to create sponsored content, I was trying to optimize old constant, I was doing freelance work, I was trying to do all the marketing, the social media management, I was trying to do video. I was trying to do all the technical stuff, and then I was trying to learn SEO all at the same time. So it was a lot and I had no priorities. It was like everything was a priority. I was too much of a micromanager to even consider really hiring any of it out. I did end up hiring. Toward the end of the year, I hired out my Pinterest, but for the most part, I didn’t have any VAs. I had no help. And on top of that, I also had sort of sporadic child care. So I was trying to do this while trying to get the hang of being a parent and trying to get my child on a schedule and she was going to daycare some days and a nanny some days, and I was trying to like work while the nanny was there. It made it very hard not just to focus, but to commit because I had no regular schedule. Nora Schlesinger: So everyday I would sit down and I would think, “What am I going to get done today?” And then like six hours … Well, if I had six hours, I would look up however many hours later at the end of my work period for the day and go, “I’ve got nothing done.” Because I was drowning in all of these different things. I’d start working on a new post and then I’d go, “Oh my gosh. I have to edit photos. Oh my gosh, I have to follow up on this cold email that I sent to a potential client. Oh my gosh, I have to …. ” You know so on and so forth. So I think the fact that I was working so hard and I was thinking about it and worrying about it all the time and really not seeing much progress or much productivity at the end of the day or a week or a month. I wasn’t seeing much growth. I wasn’t feeling good about what I was doing, both sort of the work that I was doing every day and the post that we’re going live. I wasn’t super proud of them. I was probably being too hard on myself as I look back now and go, “Wow! I can’t believe.” You know, how much I was able to pull off with a newborn at home. Nora Schlesinger: But I was just in a really bad kind of head space, where I just had no focus, I had no purpose. I didn’t know what I was doing on a given day and sort of, at a macro-level, I had no idea what I was doing. Bjork Ostrom: Yeah. I think it’s super relatable. And I think that people that listen to this podcast can understand not only the overwhelm of trying to do everything, but then also when you’re trying to do everything, feel like you’re not doing anything. And that being such a discouraging feeling because you have these huge ambitions for what you want to do and no matter what, you’re going to always come up short. I talked about that with Lindsay sometimes where I feel like my to-do list is perpetually getting longer and or never actually getting through what I want to do in a day. And I think that’s a really relatable thing. Bjork Ostrom: One of the things that’s interesting though is, as we’re trading emails back and forth and talking about this podcast, you said that you had this moment where you kind of stepped back, you looked at it, you said, “Okay. I’m going to analyze this. How can I actually do less and be more strategic?” And the really interesting thing with that is the result of that actually increased the amount of traffic and kind of essentially the success of your blog. And so by doing less, it seems counterintuitive, but you actually were able to accomplish more, which is something that I want to talk about in a little bit. But before I do that, I’m curious to know at what point you said, “Okay. This is something for me that I feel like isn’t working.” So you had your job, you left your job, you did the full-time blogging thing for a while, and then you stepped back again and said, “I don’t feel like the blogging thing full-time is working for me. I’m going to take this other position.” What was that process like? And was it hard to step back into another job? Nora Schlesinger: The process was a gradual one that started with sort of a feeling in my gut that I tried to ignore, but I couldn’t. So I would say about six months in I thought I’m having a lot of bad days in a row. It’s like you have a bad day at work and you’re kind of like, you know whatever work you do, and you’re kind of like, “Oh, tomorrow will be better.” Or you have a bad week even and you’re like, “Boy! That was brutal. I hope the next few weeks make me feel a little bit better about the work I’m doing and the time I’m putting into it.” And I just wasn’t getting that sort of reprieve from the the feeling that I was like wasting my time and I didn’t know what I was doing. So that was in let’s say June or July. And I just kept feeling this feeling that this wasn’t a good fit and that I was almost like in this quicksand and I just could not get myself out of this pattern of bad business behavior. Nora Schlesinger: And finally, I sort of started to let those feelings come to the surface and really think about like is this more than just a bad day or a bad week or a bad month? Is this really something that isn’t working? And the more I thought about it, the more I realize that the financial pressure of trying to be a full-time blogger was hindering my ability to kind of see the big picture and think strategically and think long-term because I was so caught up in when’s my next paycheck and where is it coming from, and then what about the one after that. So it actually wasn’t that difficult of a decision to go back to work. Primarily because I found a great job that is remote and in sort of the blogging world. Nora Schlesinger: I work for a content marketing company and I manage all of the editorial calendar, as in the keyword research and SEO part of it. Bjork Ostrom: Which is like a great fit and that you are able to do things that also in some way probably directly correlate to and help with your blog. Nora Schlesinger: Absolutely. So when I do have time, yeah, I feel like I know what I’m doing now. So I had actually taught myself SEO over the course of 2017 and by the end of the year, that was literally the only thing I felt confident in. And so I applied for this job with what was at the time, a start up agency and was hired, much to my surprise. And immediately felt better about everything because I wasn’t so worried about how am I going to pay my bills? Or should I be hustling more? Should I be pitching more? Am I doing it wrong? Am I failing? Am I behind? All of these really negative thoughts that are really common for entrepreneurs, especially kind of starting out, but that I had sort of a let kind of takeover my whole thought process when it came to running my business. Nora Schlesinger: So starting a new job was sort of the thing that kick-started my … What’s the word I’m looking for? Sort of like analyzing and rejiggering the whole blogging experience for me. It was really the first time I was able to kind of step back and I had the confidence and sort of like the sense of calm to think strategically and think long-term about it. It was the first time that I had both that sense of peace about the whole thing, and I was thinking about it as a business because I hadn’t really, prior to taking it full time, ever really regarded it as a true business. Nora Schlesinger: So I sat down and I wrote a business plan because like I said earlier, I figured if I’m going to devote what little free time I have to this, I really need to, number one, be efficient with it. So I need to really know what I’m doing and what path I’m on and eliminate everything that doesn’t support that path or those goals. And number two, I need to kind of know why I’m doing it, and it needs to be worth spending my free time on when I could be sleeping or watching TV or otherwise, you know sort of relaxing. That was sort of the beginning of the turning point. Bjork Ostrom: A couple of things regarding what you just said. So in terms of 2017 learning SEO, that’s something that people are always interested in. What do you feel like were the most significant learnings that you had from that, that you were able to apply your blog, but also as you applied for this job, showcased your understanding of SEO? Any advice that you’d give people that feel like they’re at the beginning stages of learning that? Nora Schlesinger: Absolutely. First of all, I would recommend learning how to do keyword research. So get yourself an account with Ahrefs or SEMrush. They both have three accounts that should be sufficient for somebody running one site and kind of just starting out. Make sure you kind of vaguely understand the concept of domain rating and authority and and things like that. I also can’t, and this is like not sponsored, I hope you don’t mind me recommending this, but I cannot speak highly enough about the Hashtag Jeff course. Nora Schlesinger: I learned so much. It reinforced things that I knew, but didn’t quite know how to articulate. Like I sort of knew instinctually, but didn’t quite know I knew in a sense. It also taught me so many new things about little nuances, like how to think about internal linking and all those sorts of things that are just sort of the different layers of on-page SEO. And then it also taught me how to use SEMrush, which I now use Ahrefs, but SEMrush is an equally powerful tool and both of them will get you where you need to go. Nora Schlesinger: So my number one piece of advice will be learn keyword research and then kind of learn just sort of like the basics of how Google thinks about your site. So things like domain rating and the concept of authority and think about what you’re in authority or what you want to be an authority in, in the eyes of Google. And then the second piece of advice that I would have is don’t worry so much about creating new content, focus on your old content and making that work harder for you. That was something that I did. Mostly because I didn’t have the time to be creating tons and tons of new content. So I really only had the time to go back and look at what was already on my site and optimize it, and that got me so far and continues to be one of the biggest traffic drivers on my site, not just older post, but optimized, older posts. Bjork Ostrom: And how do you go about doing that? What does that look like to optimize an old post? Nora Schlesinger: So the first thing that I always do is go into Google Analytics, look for your top, I don’t know, 10 or 20, however much time you have. Start with 10 organic traffic driver. So for me, I have a post on ratatouille, which is my number one organic traffic driver. So that’s where I started. I went in and I did things like I ran it through a SEMrush, the URL to make sure that I was optimizing it for the right keywords and that all the keywords that it was ranking well for were the keywords that I thought it was ranking well for. So I’m just sort of spitballing. Bjork Ostrom: Yup. It’s great. Nora Schlesinger: But perhaps I never would have thought it ranked really, really highly for tomato recipes. I don’t think it does, but let’s pretend. So when you’re optimizing, don’t just take a stab in the dark. Don’t go in and go, “Okay. I’m going to put the word ratatouille in 57 times.” First of all, that’s keyword stuffing and Google doesn’t like that. But second of all, you want to sort of start with a data and start with any guidance that the tools that are available to you can offer on what is driving traffic to your site. So then the third tool that you want to look at is Google Webmaster Tools. Bjork Ostrom: Yeah. Google Search Console. Nora Schlesinger: Search Console. Thank you. I don’t know why I was mashing those two together. Bjork Ostrom: That’s cool. Yup. Nora Schlesinger: So Search Console will tell you kind of the opposite rather than saying, “Here are the top organic URLs.” Like the URLs that are attracting the most searched traffic. It’ll say, “Here are the keywords that are driving the most searched traffic.” So look through those and you can sort by URL and make sure you sort of have a list of all of the major keywords that your post that you’re trying to optimize is ranking well for. So assuming this post is ranking really well for ratatouille and tomato recipes and it’s on the second page for both of them and you really want to get up to the first page. One thing you want to do is go into the post and make sure that it’s written for the reader not for you, and that sounds really harsh, but the reality is that you’re the only one who cares about walking your dog or whatever. Nora Schlesinger: I say this to everyone who will listen and I think that a lot of bloggers are a little bit sensitive about this so I apologize and I don’t mean to offend anyone. But some more personal stories take over your blog, the less well you’re going to do in search because that’s not what people are looking for. They’re looking for a really foolproof ratatouille recipe and some troubleshooting and maybe some variations on how to make it a full meal. It’s kind of on its own, a side dish, but maybe here are some ways to kind of serve it over a grain or melted cheese over it and they can into a full recipe or how to convert it to another dietary restriction or something like that. Nora Schlesinger: So make sure you’re going in and really think about how the post reads from the reader perspective, not from your perspective. Make sure that it is, I would say at the very minimum, about 800 words, but I shoot for between 1,200 and 1,800 words per post. Some of my posts have 3,000 words, although I don’t recommend doing that for every post. So make sure it’s really nitty. Nora Schlesinger: Google likes to see that you have some expertise to offer on the subject and if you’re stuck for what kind of information to include and you kind of don’t really know how to guess what kind of information people are looking for, go to the site AnswerThePublic.com and type in the search term and what will come up is this kind of web of all the different queries that are related to that keyword. So it might be something like, “How to make ratatouille without eggplant? Or how to make ratatouille you know in the microwave?” Or something like that. And that actually kind of writes your article for you. Just think about those questions and answering those questions throughout your article. And make sure that you include the keyword naturally, not 5,000 times. And then if you Google it and scroll all the way down to the bottom, you’ll see some related keywords and key phrases and questions and stuff that you can also use to guide your writing. Nora Schlesinger: There are some really sophisticated tools out there that will actually give you this long list of related keywords and all the stuff that you really don’t need that. You can do it yourself and you can do it organically. And create some really great content that Google will like. And that’s really all there is to it. It is that simple. Bjork Ostrom: It’s great. And I think there’s tons of actionable things that people can pull out of that. And the great thing is that you have this advice, but also you applied it and then you have some things that you can report back on in regards to what the success was like as you implemented these things. And you outlined this in the email, where you said going from 2017 to 2018, you had a 50% increase in traffic. You went from posting two or more times a week to posting zero to one time a week. But can you talk a little bit about that and if you’d be up for it, sharing the numbers around that and kind of why you think that happened? Nora Schlesinger: Yeah. Well, I think it really goes back to making you own content work as hard for you as humanly possible. And also making your new content work. So I used to post two to three times a week come hell or high water. And that meant that sometimes I would just like slap up a post. It would be like, “Here’s a recipe for lemonade.” Or something that really didn’t set the load on fire. I was so concerned with hitting my benchmarks like, “It has to be two posts. It has again Tuesday and Thursday.” This was prior to last year. I wasn’t really concerned with … Or you know like, “I must you know post five Christmas cookies in December.” Regardless of whether the recipes were ready, regardless of whether the recipes were things people were looking for. It was just like, “I have to check the boxes.” And when I stopped ticking the boxes and I started really focusing much more on … I mean from the outside, I would call it kind of a quality over quantity strategy, but what it really was was an ROI driven strategy. I really wanted to make sure that everything I was doing, every minute I was spending on this site was going to pay off for me as much as it could. Nora Schlesinger: So like I said, I was going back and I’ve been kind of periodically going through and going down the list of my top organic traffic driver driving post and optimizing them. I’ve been updating pictures, I’ve been doing kind of these little things to gradually update all of my older, not all of my older post, but the ones that are probably the top let’s 20 or so, 20 or 25 organic traffic drivers. That because those posts were already kind of established, they were already ranking, they had a really good domain age, and they already had a lot of links to them because they had existed for a couple years. Those increased I would say probably within like six weeks, some were more like three to four weeks, but very, very quickly. Nora Schlesinger: To give some context, typically a new post doesn’t start to rank or doesn’t sort of level off where it’s going to rank for anywhere between six … Well, no, I would say like four to six months. But it can take up to six months for a brand new post to rank. I’m sure that’s not the case for something like Pinch of Yum because you know incredible domain authority, but for somebody like me. I’m sort of a middle-of-the-road player so it can take up to six months. So when you compare more traffic in six weeks versus more traffic in six months, kind of a no brainer. So I did spend a lot of time there. Nora Schlesinger: And then when I did create new post, I never posted just to post, ever. Well, also because I didn’t have the luxury of that kind of time. But every single post was key word research. It was optimized right out of the gate. I made sure that the photos were really, really high quality. I just wouldn’t post rather than post something that was what I considered mediocre. I would hold it and re-shoot and just not post anything that week. I made sure to share it on social media and in my newsletter and things like that. Because that gets through that initial surge of traffic and sharing going. And I just sort of like tried to follow the best practices and not get bogged down in things like trying to hustle to get a number of post up just to get that number of post up. Bjork Ostrom: Right. Just to check the box of saying, “Hey, I’ve published twice this week.” When it doesn’t really matter if it’s content that’s not going to actually help you out. Nora Schlesinger: Yeah. So instead I was posting things that would actually continue to work really hard for me from the minute I posted them, as opposed to something that would just be like you know give me the the short-term satisfaction of getting a Tuesday post up, but then sort of lack language on my site and not really do much. Bjork Ostrom: Yeah. Another thing that you said that you did that I thought was so interesting was you said you started to write for ads and kind of you had this intentional decision where you moved away from sponsored content and saying like, “Okay. I’m going to maybe do sponsored content, but I’m going to increase my rate on that, so if I’m doing it it’s really justified. And I’m going to really focus in on ads.” But you talked about writing for ads and how that doubled your ad income in December of 2018 versus December of 2017. Bjork Ostrom: My question is what does that mean to write for ads? Nora Schlesinger: Okay. So first of all, I’m with Mediavine, which is an ad network that gives … Well, it gives really anybody, but particularly publishers a lot of resources on how to maximize your ad income. So I finally started following those. And I kind of just stopped pretending I knew everything about everything and deferred to the experts, particularly where it came to ads. So just taking a few steps back on the ad discussion. Nora Schlesinger: It was really important to me in 2018 to not have to rely on freelance work and be able to minimize or eliminate sponsor work all together. It did take a couple of sponsored posts because I wanted to, frankly. And like you said, I raised my rates so it was worth my time and they were brands that I really like and it was a great situation. So I was excited to do it, but I didn’t do any freelance work in 2018 and I really wanted to make sure that … Or it wasn’t it a necessity, but I really wanted to challenge myself to make up that income just on ads. Nora Schlesinger: So some of my ad income increased organically just because my traffic increased, but that wasn’t actually primarily why my ad income increased. I primarily started readjusting my site and the way that I wrote my post for ads. So there’s certain things like breaking up your paragraphs into shorter paragraphs. So instead of one, let’s say, six to eight sentence paragraph, you kind of want multiple two to three sentence paragraphs. You also want to kind of break it up obviously with pictures, and then this gets a little bit more technical, but there are certain settings that you can tell Mediavine don’t place ads or do place ads before pictures and things like that. Nora Schlesinger: Long story short. I went with the recommended optimized settings, which allowed Mediavine to put the ads in the best places, and then I lengthen my post, I broke up my paragraphs within each post, and then I also lengthen my sidebar. All of those things allow the best context for Mediavine to put the best ad placement on my site. If that makes …. Now, I’m getting a little bit too technical. Bjork Ostrom: So it’s a little bit of experimenting with the structure of the content to maximize the number of ads that can be shown. And obviously, you don’t want to show just a stack of ads, which is why you would kind of lengthen the content out and say, “Okay. You know, we’re going to show an ad … ” I’m making this up, “ … every four paragraphs.” So it would show spaced out and the more ads you show in general, depends on the placement and where those are and how those are spaced out, there’s more potential for income. And so you kind of did some optimization around that both on the number of ads and it sounds like also the placement of them, where you’re saying, “Okay. You know, let’s place these in the content, maybe within the recipe itself.” Was that one of the changes you made or do you have ad that shows within the recipe? Nora Schlesinger: Yeah. I wasn’t allowing the recipe in my … I’m sorry. I wasn’t allowing the ad in my recipe card before because like I thought … Honestly, I thought if I did that, readers would be offended and they would stop reading and I finally just kind of accepted that readers expect ads and although you’ll get the odd outraged internet troll, most people are accustomed to seeing ads in free content on the internet. And it turns out that it won’t drastically impact your traffic, but it will drastically impact your income for the better. Nora Schlesinger: So yes, I did allow that recipe card ad to be inserted. As I said earlier, I try really, really hard to include a minimum of about 1,200 words, usually more, and this sort of sneaky, not sneaky, but that this sort of fringe benefit of that is more opportunities for ads throughout your content, provided you’re breaking up your paragraphs into small chunks, which side note, is also much better for mobile readers. So it’s not just an ad play or an income play. It actually is a user experience thing, but it benefits you as well. So that was one of the major changes I made to my ad setup was I kind of just follow the best practices that Mediavine had laid out. And it turns out they really do know that they’re talking about. Bjork Ostrom: They were best practices. Yeah. That’s great. Nora Schlesinger: They are best practices. Bjork Ostrom: Yeah. I feel like there’s a lot of takeaways. A lot of things that we talked about that people are going to be able to apply in their ground level, tactical, helpful things. But the other thing that I think would be really inspirational for people to hear is how you went about doing this while also staying sane, making time for your family, making time for the job that you have, and also intentionally growing your blog. And it’s not like a hobby blog. It’s a really successful business that you’re able to run alongside your job and also making time for those other life thing. Bjork Ostrom: So do you have any advice for people who are in a similar position and they want to do a really good job with these other things in life. They don’t want to have blogging represent 16 hours of their day, but they do want to do a really good job with it and be successful with it? What would your advice be to them in order to make that happen? Nora Schlesinger: Outsource. Well, two things really. I say that sort of cheeky, but I do really mean it. The first thing is, there are tons and tons of tools out there, free tools in fact, that can and will help you stay organized. So first, back to what I was saying earlier, make sure you know what you’re doing while you’re doing it and who you’re doing it for. So whether or not you want to write a formal business plan, you don’t have to. Nora Schlesinger: I also kind of set aside time during the day, in the evening, on the weekends that I devote to blogging and related activities like photography or recipe testing. I work recipe testing into the normal kind of structure of my day. So if I’m making dinner, I try to make something like I’ll test some biscuits and work that into the dinner plan or something like that. On the weekends, my son really likes to bake. So we bake something that is a test recipe that I hope to put on my site. So it’s just sort of things like that like I know that I’m never going to have a block of time to set aside for blogging. I know that I’m not going to eight hours today, so I try to break it up into small chunks. I try to stay very, very organized. And then I have gone through all of the activities that I’m doing and the ones that I didn’t eliminate at beginning of last year, I have kind of really … How do I say this? I’ve really given a lot of thought and really been honest with myself about what I need to do versus what I can turn over to somebody else, or something else. Nora Schlesinger: There’s a lot of automation out there that can help you. So I use Zapier pretty religiously. And for those who aren’t familiar, Zapier is an automation tool that connects one app with another and there’s thousands of apps that it can connect with thousands of other apps. So for example, instead of you having to go, “Oh, I just published a post. Now, I have to remember to post it to Facebook and then post it to Twitter, and then … ” You know so on and so fort. You can set up Zapier to just put it on Facebook for you, which all of those tiny little things you might think, “Oh, posting to Facebook only takes five minutes and posting to Twitter is only another five minutes.” But all those five minutes really ad up. Bjork Ostrom: If you have a hundred things that take five minutes, that’s a lot of time. Nora Schlesinger: Yeah. So everything you can automate or outsource, everything that’s not an absolute core necessity of your business and of your brand, absolutely either eliminate it or outsource it. So I actually hired somebody to write my About page for me. I have one of my site, but I hate it. I wrote it so it’s okay, it’s not the new one. Nora Schlesinger: I have a friend who’s a very, very talented freelance writer, and she knows me really well, and she’s probably the only person I would have trusted to do this. I feel like the About page is the equivalent of sort of like your brand mission statement almost, and I never felt really good about mine, and it’s been on my list for ages and I just knew I was never going to get to it. So I outsourced it to her. Nora Schlesinger: I don’t feel for example, like Facebook and Twitter are really a key part of my success and they don’t drive very much traffic. I don’t have a huge following. I don’t have your engagement on either channel so I outsourced it to a tool called SmarterQueue, which is sort of like a Edgar or CoSchedule or one of those. It’s just one I like. So it automatically posts and manages my Facebook for me and my Twitter. Nora Schlesinger: I still manage my own Instagram because I genuinely enjoy Instagram. And I kind of just went through all the activities that I was doing and I either eliminated them if they were truly not really worth it to me or I outsource them to a tool or something who really knows what they’re doing. Pinterest is another example. I outsourced my Pinterest 100%. I don’t ever touch my Pinterest. And it’s great because it’s really a vital traffic driver for my site, but I don’t really know how to use it and I don’t have the time to use it and I don’t have the time to learn how to use it so fantastic. There’s people out there who do. Bjork Ostrom: Yeah. I think that’s great. When we did a podcast interview with David Allen from Getting Things Done, he talked about this idea of you either delegate, you do it or you don’t do it. And I think the “don’t do it” piece is one that’s really hard for people, but it’s really valuable. If you have something that you can just get to the point where you say, “Hey, this isn’t worth it. I’m not going to do it.” It doesn’t mean that you’re not going to do it forever, but you can set it on the back burner. You don’t have to say, “I’m never going to do this.” But that allows you to focus on the things that really make a big impact. And that’s one of the things that I hear to tie this back to where we started in the interview was this ability to focus on the things that really make a big difference. Bjork Ostrom: And one of the things that’s so interesting is I think you know in high school, they often talk about the kids who enrolled in extracurricular activities were correlated to a higher success in the classroom. So it’s like the last time you had, the more successful you were as a student. And obviously, there’s a lot of factors that maybe go into that, but what I hear in your stories is really interesting, is you had this point in your life where you had this time that you could use, but it’s almost like eliminating some of that time, force you to focus on the things that really made an impact and you actually saw substantial growth from that focus. And I think that’s really encouraging because there’s a lot of people in similar situations who think, “I can’t do it all.” And the encouraging thing that I hear from this interview is that you don’t need to. You need to do the things that make a big impact and you need to dwindle that down to just a select few things that you can focus on. Nora Schlesinger: Absolutely. The biggest fear that I had and that I’m sure other people have is that giving up something means giving up traffic. So for example, giving up on managing your Facebook page manually means giving up on whatever traffic is coming. Basically like de-investing in Facebook Facebook means giving up on whatever traffic you’re getting from Facebook. But how much traffic are you getting for Facebook? If you’re getting a ton, I agree with you. But for me, I was getting a trickle at most. And I admittedly have not gone back and analyze this, but I have not seen a major change in my traffic. It may have dropped very slightly, but the flip side of the equation is that the time that I am now no longer spending on Facebook, I’ve devoted to something else that has drastically increased my traffic from another channel. Nora Schlesinger: So it’s kind of like, “Okay. I hear what you’re saying.” But just try it before you assume that it’s going to be detrimental to your business to give up XYZ small, somewhat insignificant thing. And really be honest with yourself about what is significant and what is critical to your brand and what isn’t. Bjork Ostrom: That’s great. I think that the idea of everything as an experiment is really helpful because sometimes we can move into something and think, “Ah, this is going to be a change that I make forever.” It doesn’t have to be. Maybe you can experiment and say, “For two months, I’m going to try not using Facebook see what the impact is of that and then make my decision.” And think of the first decision not as the final decision, but as the decision to test something. And that’s freeing as you could potentially be overwhelmed with the changes that are coming and the changes you need to make. Bjork Ostrom: So Nora, we’re able to cover a lot in this interview. And I know people will have some really awesome takeaways and some actionable items that they can implement. And I know other people will be interested in following along with you and what you’re up to and your blog, not only from seeing what you’re doing for a strategy perspective, but also just following along with who you are and what you’re up to. Can you talk a little bit about where people can find you online? Nora Schlesinger: Of course. So my blog is acleanbake.com. So it’s like the phrase “a clean break”. I don’t think I ever actually mention this, but it is gluten-free and primarily Paleo recipes, but they are intended for everyone. So I hope if you don’t follow one of those diets, you’ll still come check out my recipes. I think that you’ll still find something that you like. Nora Schlesinger: If you have questions or want to connect with me, my email is [email protected] My Instagram is nora_acleanbake, and my Facebook and Twitter are A Clean Bake, but I wouldn’t recommend looking for me there since as I said, I’m not super active. Bjork Ostrom: As we previously talked about, yeah. Nora Schlesinger: Yes. Since it’s usually a robot. Bjork Ostrom: That’s awesome. Nora, thanks so much for coming on the podcast. Nora Schlesinger: Thank you Bjork. I was really happy to be able to talk today. Alexa Peduzzi: Thank you so much for your review. It’s awesome that you’ve listen to every episode. You know, we’re almost at our 200th episode, so that’s quite a commitment to learning and growing your blog. So that is all we have for you this week, friend. Thank you and we’ll see you next time, but until then, make it a great week.